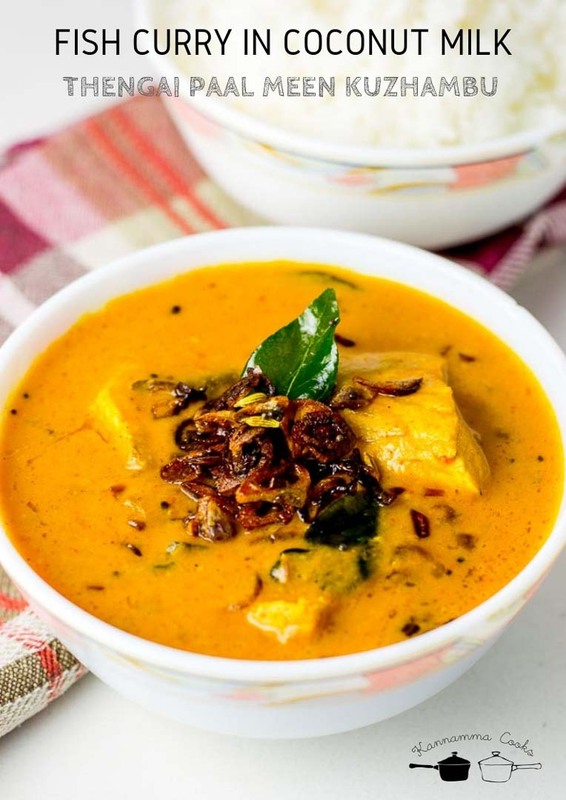 Recipe for Thengai Paal Meen Kuzhambu, Tamil style Fish Curry in Coconut Milk. 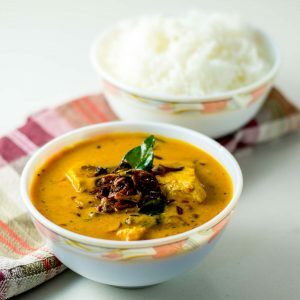 Fish poached in home ground masala and coconut milk. 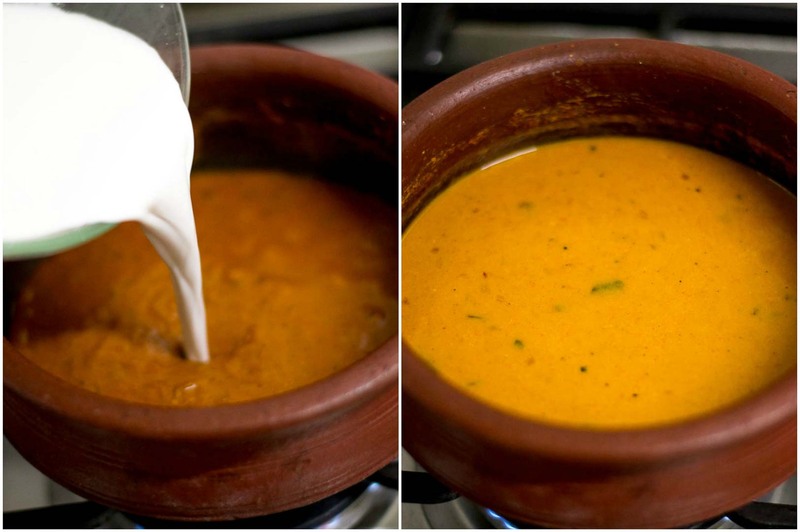 Perfect side dish for appam, idiyappam, and dosa. It goes well with ghee rice too! There is a funny saying about people owning a coconut farm in Kongunad. “அவருக்கு என்னங்க! தொப்புனு சத்தம் கேட்டுச்சுன்னா காசு. நமக்கு அப்பிடிங்களா” meaning if you hear a sound of a falling coconut in the farm, its immediate money in the pocket!!! Anything made with coconut / coconut milk is more than welcome at my place. Every day after coffee in the morning, shredding coconut for the day will be one of the main things that will happen in the kitchen. 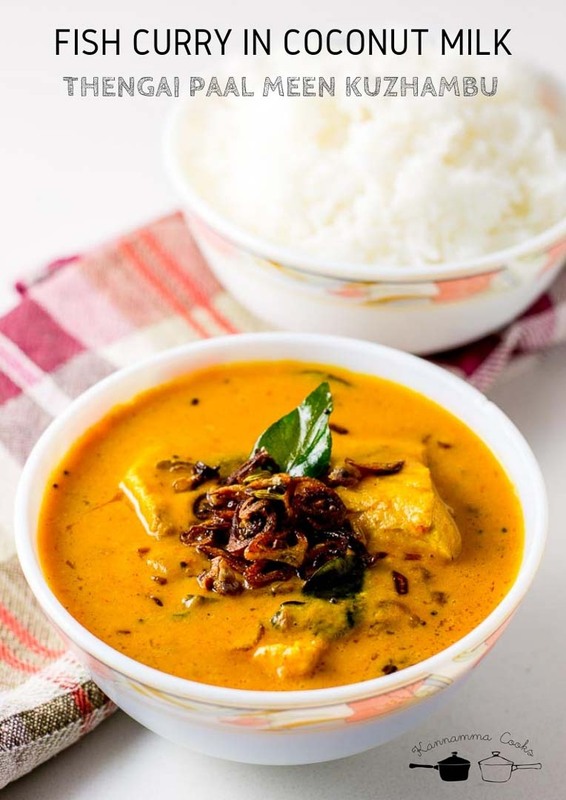 This fish curry is very simple to make and fish is poached in a coconut milk based curry sauce. I have used homemade coconut milk for the recipe. If you are in a hurry or do not have access to fresh coconut, canned coconut milk just works fine. 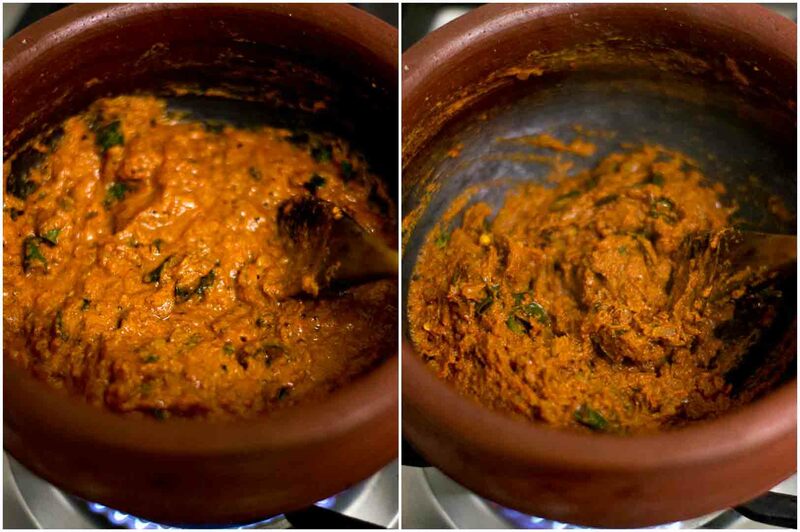 We will make a simple masala paste for the curry. In a small mixie jar, add in the cardamom, tomatoes, ginger, garlic, coriander powder, red chilli powder, pepper powder and turmeric powder. Add a little water and grind to a smooth paste. Set aside. 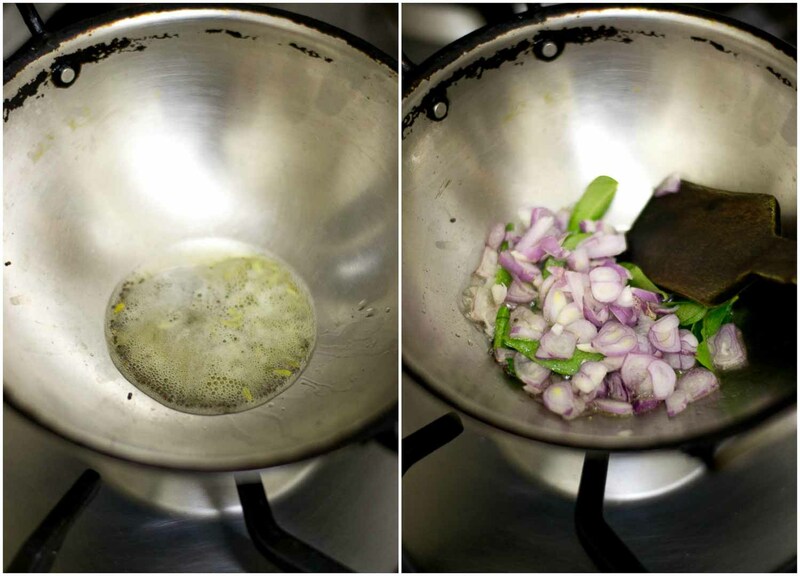 Heat coconut oil in a pan and when its hot, add in the mustard seeds, cumin seeds and fenugreek seeds. Let the mustard seeds crackle. 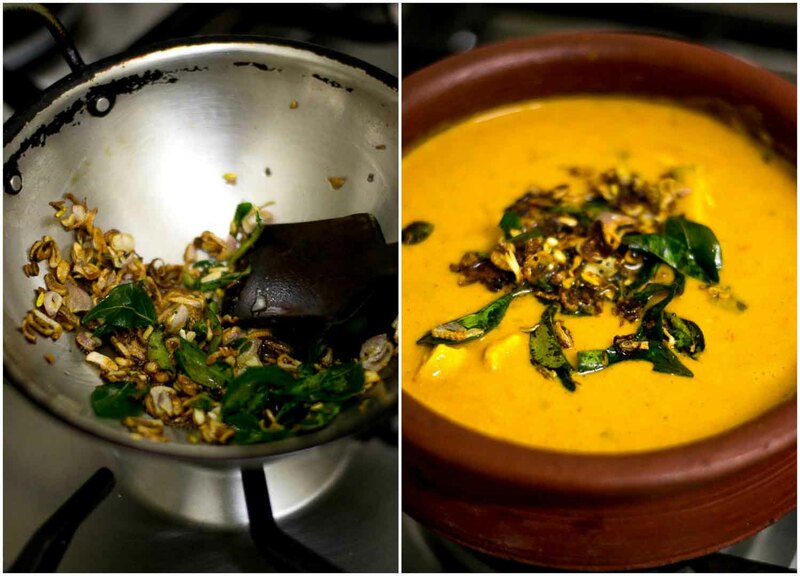 Be careful not to add too many fenugreek seeds (vendhayam / methi seeds) as the curry will become bitter. Add in the green chillies and curry leaves. Saute for a few seconds till the green chillies blister. The smell of curry leaves when roasted in coconut oil is something that I sooooo love, love, love!!! Add in the finely chopped onions. Also add in the salt. I have used unrefined sea salt today. Saute till the onions are nicely brown. Add in the ground masala paste. Saute for a good ten minutes on medium flame. Remember that the masala paste is ground raw. 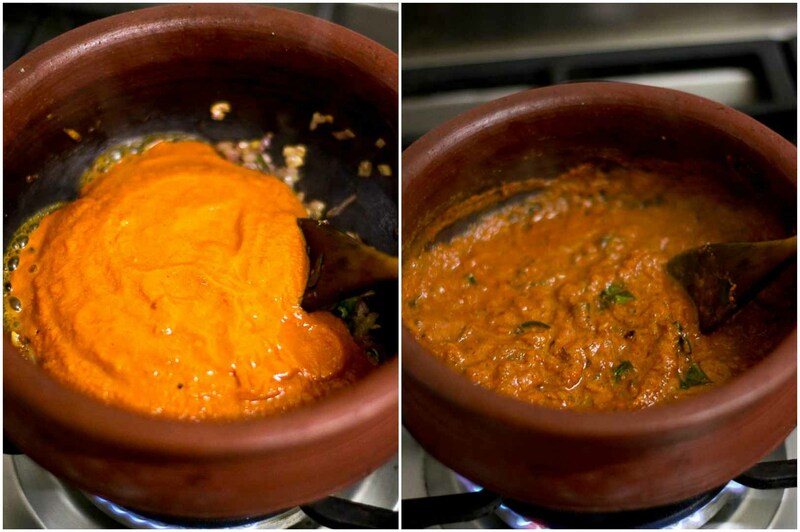 So take time to cook the paste so the flavours of ginger, garlic, spice powders and tomatoes are well cooked. The masala paste would have become thick. Soak half an inch piece of tamarind in a cup of water for 15 minutes. Squeeze the tamarind well to extract the pulp. Discard the seeds and the pith. Add in the tamarind pulp to the curry. Note: If using canned coconut milk, add in half a cup of canned milk and half a cup of water. Let it simmer for a few minutes. Add in the fish pieces and let it simmer covered on a low flame for 15 minutes. Always poach the fish on a low flame so the fish cooks to a very soft texture. 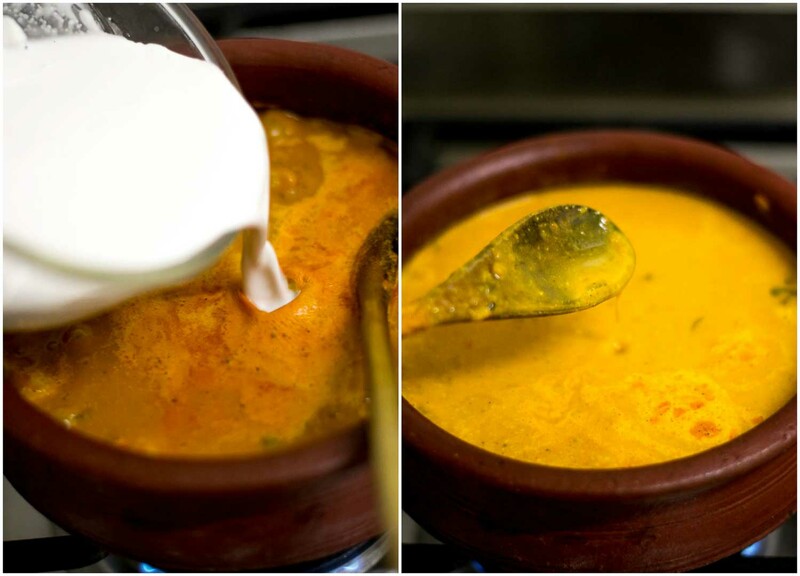 Now add in half cup of first pressed coconut milk (thick milk) to the curry. Simmer just for a minute and remove from heat. Note: If using canned coconut milk, add half a cup of canned milk. Heat ghee in a pan and add in the mustard seeds and fennel seeds. Let the mustard seeds crackle. 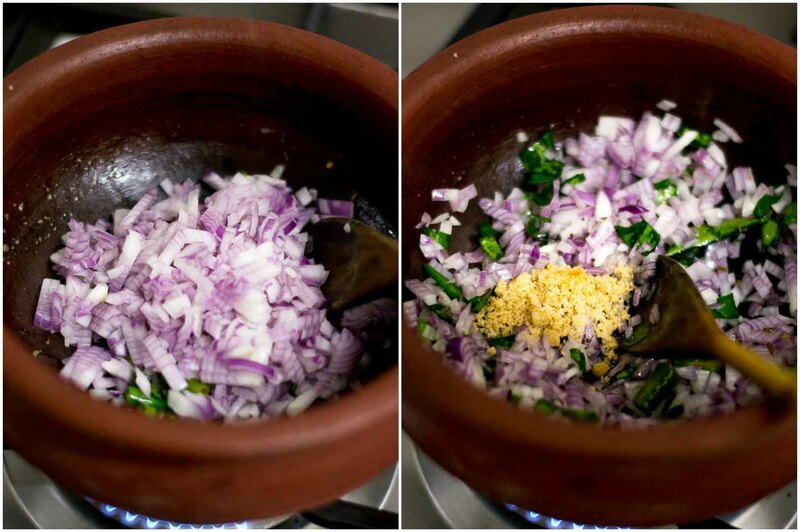 Add in the curry leaves and the sliced shallots (small onions). Saute for a few minutes till the shallots are nicely brown. Add it to the curry. 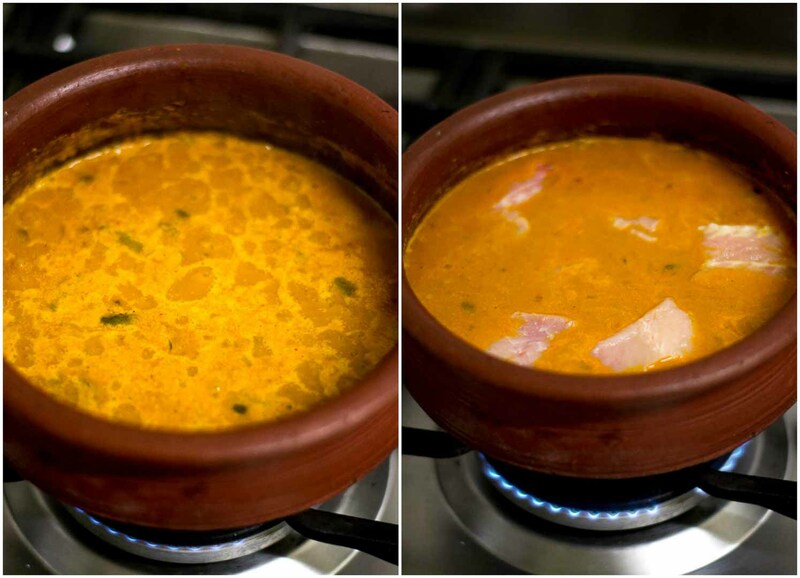 Thengai Paal Meen Kuzhambu, Tamil style Fish Curry in Coconut Milk is ready. 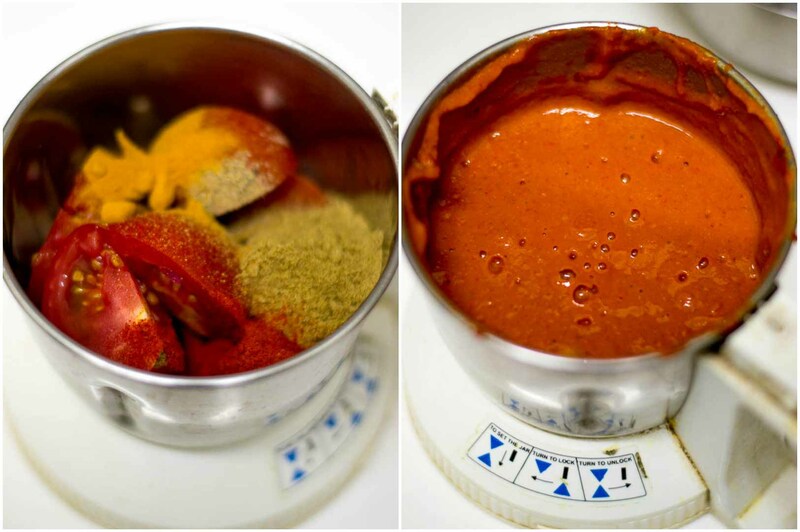 In a small mixie jar, add in the cardamom, tomatoes, ginger, garlic, coriander powder, red chilli powder, pepper powder and turmeric powder. Add a little water and grind to a smooth paste. Set aside. 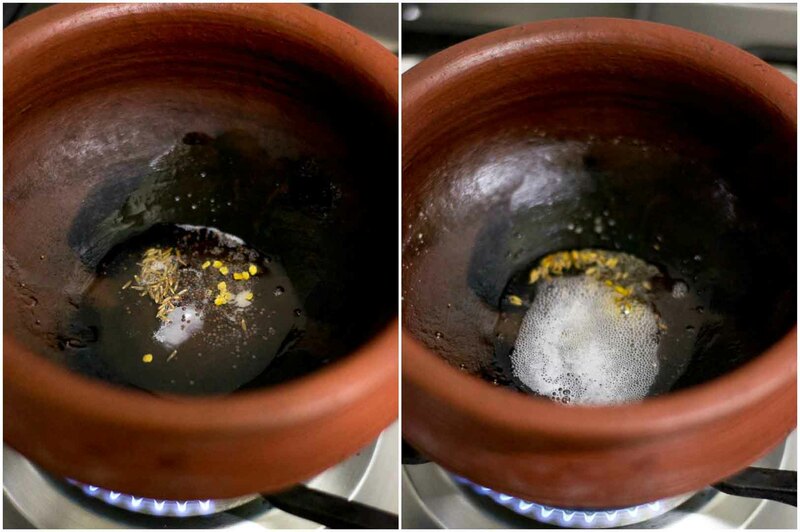 Heat coconut oil in a pan and when its hot, add in the mustard seeds, cumin seeds and fenugreek seeds. Let the mustard seeds crackle. Add in the green chillies and curry leaves. 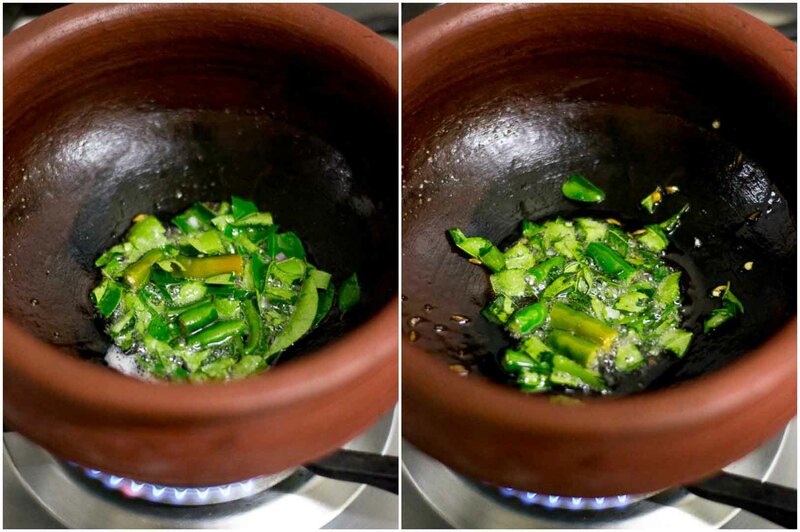 Saute for a few seconds till the green chillies blister. Add in the ground masala paste. Saute for a good ten minutes on medium flame. Add in a cup of second pressed coconut milk. Let it simmer for a few minutes. Add in the fish pieces and let it simmer covered on a low flame for 15 minutes. 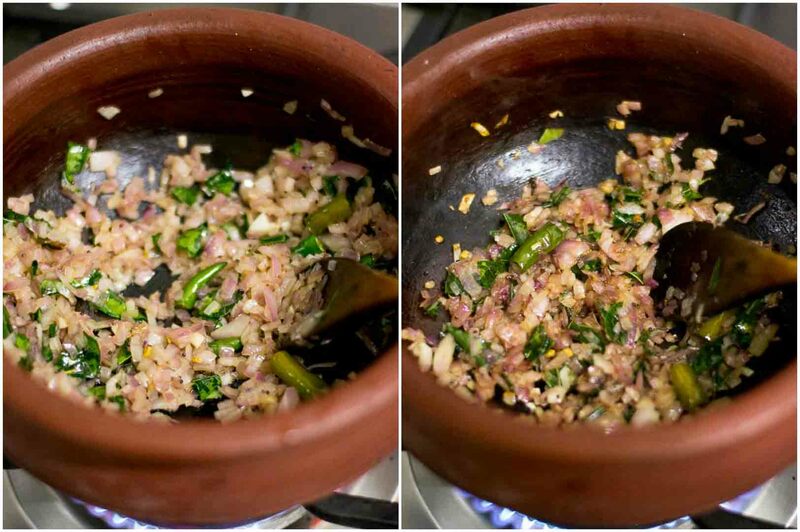 Heat ghee in a pan and add in the mustard seeds and fennel seeds. Let the mustard seeds crackle. Add in the curry leaves and the sliced shallots. Saute for a few minutes till the shallots are nicely brown. 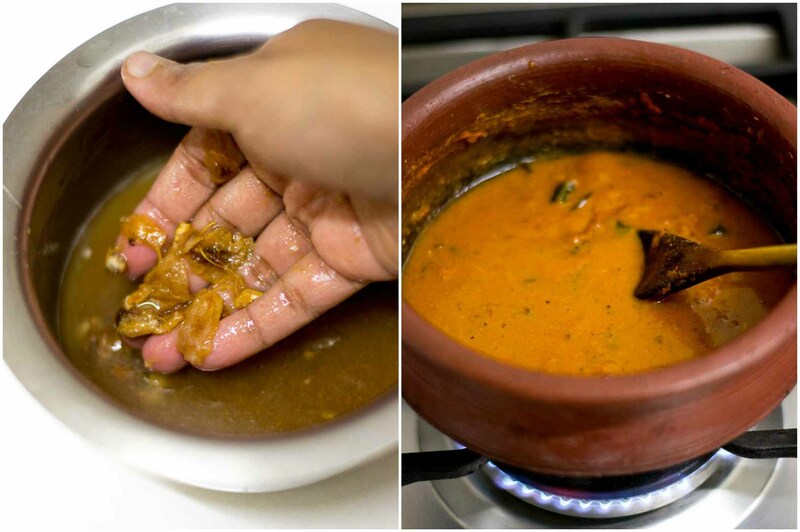 Ingredients of masala paste is as of kerala fish molie,interesting recipe Suguna!! !